A dysfunctional family with a big secret, Little Broken things is a great family drama and mystery for those who love Liane Moriarty’s novels. Quinn Cruz is back in Key Lake Minnesota living in one of her mother’s luxury vacation cabin rentals with her artist husband Walker. Her family isn’t close, but Quinn really wants to start a family of her own with Walker although they are having troubles. One day her sister Nora shows up with a secret, who happens to be a scared little girl with dyed hair. 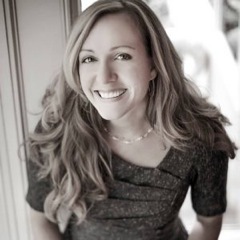 Who is Lucy and why does she look like she’s related to Quinn – is she Nora’s daughter? Nora has always been there for her best friend Tiffany, but she’s at the point where she’s in too far. Tiffany is in a relationship with a bad man and needs to escape. How can Nora help her and keep herself safe? Her co-worker Ethan is the only person who can help her. Liz is Quinn and Nora’s mother. 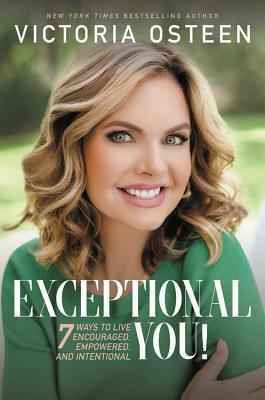 She takes pride in appearances and living life as perfectly as she can. She tried to raise her children right, and can’t understand now that she is a widow, why she doesn’t have a relationship with them. When mysterious things start to happen around the lake involving her children, she starts to try to figure out what is going on . . . 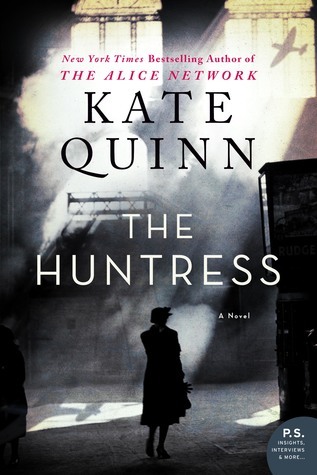 I liked the three main point of views in this story of Liz the mother and her two estranged daughters Quinn and Nora. What happened to this family and how can it be repaired? The story is also suspenseful – who exactly is Lucy? What has Nora gotten herself into? It’s a slow burn suspense centered on the family and their problems. I was drawn into the story and it was a very interesting read during this hectic time of year. Overall, Little Broken Things is a good suspenseful family drama. Book Source: Review Copy as a part of the TLC Book Tour. For more stops on the tour check out this link. 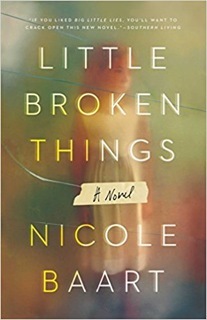 One lucky winner will receive a copy of Little Broken Things by Nicole Baart. If you would like to win this book, please leave a comment on what interests you about this book. This contest is only open to addresses in the United States and Canada. The deadline for entry is midnight on Friday December 29th! Please make sure to check the week of January 1st to see if you are a winner. I send emails to the winner, but lately I've been put in their "junk mail" folder instead of their inbox. Source: Simon & Schuster Digital Review Copy - Thank-you! Jacob Churcher is a famous author living a lonely life. After a tragedy killed his older brother when they were young children, his parents divorced and his mother slowly sank into mental illness. Kicked out of the house at 16, Jacob was able to make his way through hard work and the kindness of others. Now a successful author, Jacob does not have a close relationship with anyone save his publicist. With Christmas approaching, Jacob finds out his mother has passed away. Going back home for the first time in twenty years, Jacob finds out the truth about his family and helps to unravel a mystery involving the mysterious Noel Diary. Will he be able to find happiness and perhaps love along the way? I really enjoyed this audiobook. I love that Richard Paul Evans narrated the audiobook himself and gave personality to the lonely author searching for truth about his past. I was intrigued by the storyline and thought it was very well told. I’ll admit I hadn’t really thought about the title too much until the diary made its appearance. I really liked how the story unraveled and I don’t want to ruin it by giving away too much information! I really liked all of the characters and I enjoyed how the Jacob went from being a lonely author to developing relationships and starting to think about more than himself. It was great growth for the character. 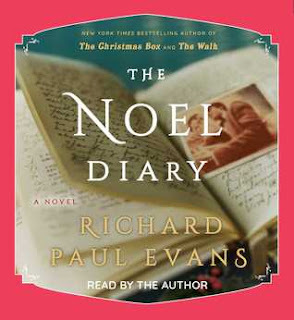 Overall, The Noel Diary was an enjoyable holiday audiobook about what makes a family and relationships and how the truth can set you free. I highly recommend it! What can be better than A Christmas Carol read by Patrick Stewart aka Jean Luc Picard? Nothing I say! This riveting version of A Christmas Carol is vividly brought to life by Patrick Stewart. 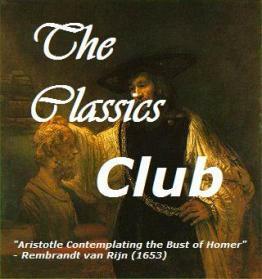 He is a wonderful narrator giving great depth to each character and bringing them to life. It makes the story fascinating having such a great character actor actually acting out the story using his voice rather than just reading it. Having the story narrated with a British accent is a must. The only downfall to this narration is that it is an abridged version of the tale. I wish Patrick Stewart narrated an unabridged edition. I recently pulled out my childhood copy of A Christmas Carol only to find out I’ve been reading an abridged version my entire life. I should remedy that next Christmas! A Christmas Carol is one of the quintessential tales of Christmas. Scrooge is a miserly old man that learns through the spirits of Christmas Past, Present, and Future the true meaning of Christmas. I love how Dickens uses the names to really symbolize the characters such as Scrooge – it sounds like a miserly old man. I also love how he used the tale to make money for himself, but also to bring back Christmas traditions that were starting to die away in England. I just adore how the tale makes Scrooge think about how he was treated in his life and how he should treat his fellow man. It’s a tale that all of us should heed – do unto others as you would like them to do unto you. 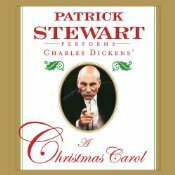 Overall, Patrick Stewart’s rendition of A Christmas Carol is a not to miss audiobook. I highly recommend it! Source: Blackstone Audio Digital Review Copy as a part of the Audiobook Jukebox Review– Thank-you! I read this along in a print copy of the book that was a Christmas gift from my best friend Jenn. Lady Therese Osbaldestone is a widow who is trying to find her way in the world. Settling in Little Moseley in Hampshire at an estate left to her by her Aunt, Lady Osbaldestone sets to work getting reacquainted with the community and also caring for her three young grandchildren who are visiting while their parents are ill. As it nears Christmas, Lady Osbaldestone and the three children are soon embroiled in mystery as the flock of geese the village is looking forward to eating for Christmas dinner has gone missing. As they search the village, the family also finds themselves helping to bring a wounded veteran of the Napoleon wars, Lord Christian Longfellow, back out into village life and hopefully into romance with his neighbor, Miss Eugenia Fitzgibbon. Will love be found as well as the “blasted” geese? 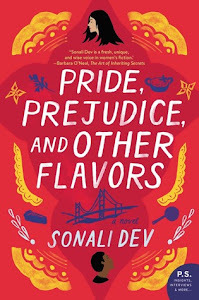 I really, really loved this novel. 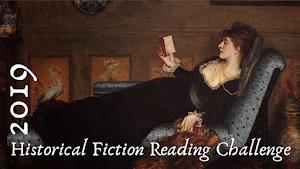 I am a great fan of Christmas regency romance and I found this to be a delightful story. The village of Little Mosely was charming and delightful and I love the characters that inhabited the village. I also loved how the grandchildren were entranced with not only finding the geese, but also helping their grandmother to play matchmaker. 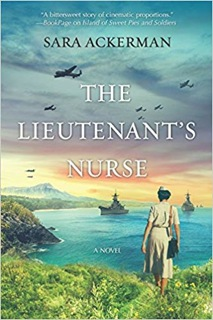 There was a nail biting incidence of suspense toward the end of the book, but I overall enjoyed that it had a little mystery, a little romance, but no violence and the romance was clean with only a kiss. I listened to the audiobook while also reading along with the actual novel which was fun to do. 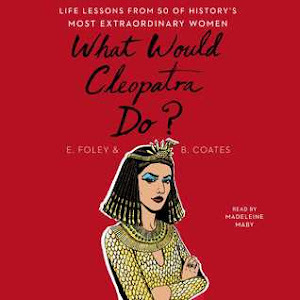 I thought Helen Lloyd was an excellent narrator and it was a very enjoyable book to listen to as an audio. She did great with the characters and pacing of the story. This is a first book in a planned series and I can’t wait to read the rest of the series! 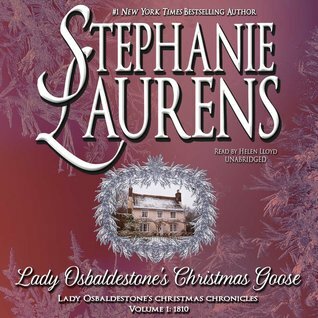 Overall, Lady Osbaldestone’s Christmas Goose is a delightful Christmas mystery and romance novel. I highly recommend it! 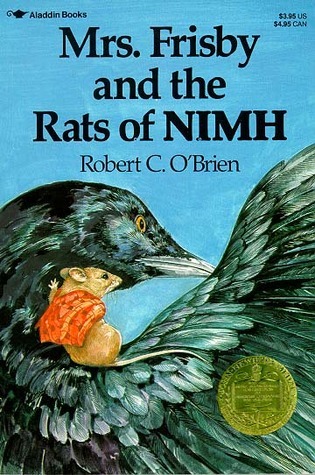 I had heard of Mrs. Frisby and the Rats of NIMH, but somehow got through my childhood without ever having read it. My 11 –year and 9-year old sons were reading it for their youth book club this last month. I read it with 9-year old Daniel in the evenings using the flip-flop technique. I would read a page and then he would read one. Mrs. Frisby is a widowed mouse with four young children living in a field. Her youngest son, Timothy is very ill and unfortunately it is time to move to summer quarters before Farmer Fitzgibbon starts to plow his fields. Mrs. Frisby seeks help amongst her neighbors and is told by a wise owl to get help from the Rats. When Mrs. Frisby meets the rats, she discovers far more about them and her late husband than she had ever imagined. Will they be able to save Timothy before the plow comes? Daniel and I both greatly enjoyed the story as did Kile as well. We had to have a discussion about it after we all finished. I fell asleep one night and couldn’t read further so Daniel took the book and finished it himself that night, I had to catch up the next day to see how it ended! It was a great heroic tale of Mrs. Frisby and her love for her children, but the entire rats sequence was very intriguing. Daniel loved finding out where they came from, but was a bit stressed out about the more suspenseful parts of the novel. We still want to know who the mysterious two rats were in the end! I really liked the ambiguous ending and the questions of ethics and morality that permeated the story. 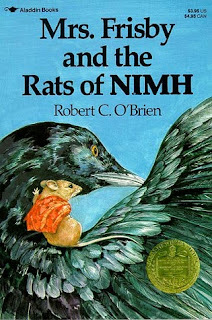 Overall, Mrs. Frisby and the Rats of NIMH is a wonderful fantasy novel that will delight readers of all ages. Searching for a delightful Christmas romance that will sweep you off your feet? Moonlight Over Manhattan is the book for you. 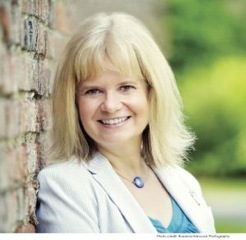 Harriet Knight runs a successful dog walking business with her twin sister Fliss. Now that her sister has met the love of her life and moved out, Harriet is trying to find a way to challenge herself to get out more to overcome her shyness and stutter. Sometimes going out more on blind dates can lead to awkward moments like hurting your ankle after jumping out a bathroom window to escape your date. In the ER Harriet met a handsome doctor named Ethan. Caught up in his work, Ethan has a problem letting go and living life. After his niece had an accident, his sister rushed cross country to be with her and left her dog Madi with Ethan to care for. Her dog walker stopped by to care for her . . . and Harriet and Ethan meet again. Will these two opposites find a way to be together? Can they let go of the past to forge a positive path forward in the world? And more importantly, will Ethan learn to love a dog that destroys his apartment? I really enjoyed this novel. It was a nice Christmas romance that is perfect for this time of year. I loved that the story had dogs in it as I am an animal lover myself. 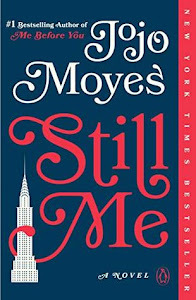 I also loved the setting – New York City at Christmas time with a sojourn up to Vermont. The descriptions in the book were beautiful. I really enjoyed the characters of Harriet and Ethan and how they both grow and develop in this book. 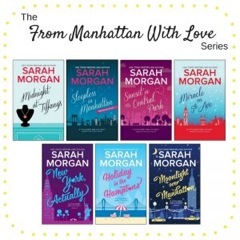 Moonlight Over Manhattan is the sixth novel in the From Manhattan with Love series. I have not read the other books in the series and didn’t feel like I was missing any important parts of the story. This novel holds up well as its own complete story. It did spike my interest in the other books in the series as I enjoyed reading it so much! 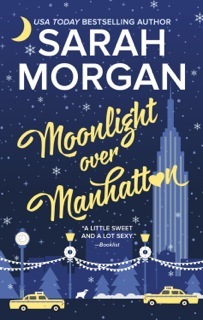 Overall, Moonlight over Manhattan is a very enjoyable romance with a great setting, characters, and story. It’s a perfect read for the Christmas season. Book Source: E-book Review Copy as Part of the TLC Book Tour. Thank-you! For more stops on the tour visit this link. As a lifelong Star Trek fan, I am happy that there is a new TV series. I’ve started watching it with the family and I like it so far (we are a few episodes in). I was excited to review Star Trek Discovery – a novel set one year before the beginning of the new series. It gives some good character background on the crew of the Shenzhou and the main character, first officer Michael Burnum. In Star Trek Discovery: Desperate Hours the Shenzhou with newly minted first officer Michael Burnum is sent to a colony world after a mysterious alien craft attacks. The craft was disturbed during routine drilling and may have been under the sea for millions of years. Arriving at the planet, the Shenzhou is faced with the hard choice of being able to destroy the alien craft, but also destroying the colony. They are further pushed into that hard place when the Enterprise shows up helmed by Captain Christopher Pike to make sure the Shenzhou destroys the alien craft at all costs. Will the Shenzhou and her crew be able to figure out how to disable the craft while also saving the inhabitants of the planet? The story was interesting in Star Trek Discovery: Desperate Hours, but what I really liked was the character development. In particular I liked Michael Burnum and Saru’s relationship and how it developed as well as both of their relationships to Captain Philippa Georgiou. It helped to make the first episodes of the show even more relatable. I also loved how the Enterprise with Captain Christopher Pike and Science Officer Spock enter the story and became main characters. What a nice call back to original series fans! Spock and Burnum’s relationship is interesting and I hope to learn more about it. I’ll admit that I did think the story was a bit slow in the middle when Burnum and Spock were on an endless quest to figure out the alien craft’s maze. I felt like that section went on way too long. I’m also still confused in this book as well as the show on the fact that the Shenzhou seems much more technologically advanced then the newer Enterprise. There was a brief description in the book trying to justify why the Enterprise doesn’t have a ready room, but it rang false to me. Susan Eisenberg was an able narrator and I really enjoyed listened to this on my daily commute. 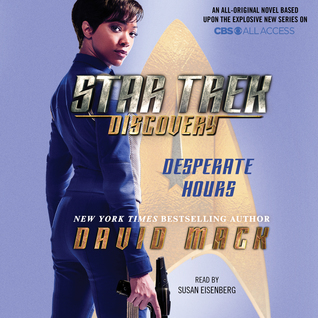 Overall, Star Trek Discovery: Desperate Hours is a great way to learn more about the characters of the new show and opens up some interesting ideas about Burnum and Spock’s relationship that I would love to see played out on screen.